We invite you to join this pilgrimage to Israel and fulfill a dream of a life time. Walk where Jesus walked and visit the catholic pilgrimages sites where the Lord performed miracles. Get spiritually elevated while walking in the alleys of the Holy City, along the Via Dolorosa. 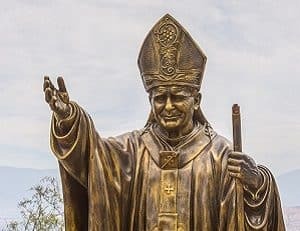 In this catholic holy land trip the Bible will come alive while visiting Jerusalem, Bethlehem, Capernaum, Nazareth, Cana and many other Biblical Sites. ** Upgrades Available upon request. *** NOTE : Modest dress (no shorts or sleeveless shirts) and head covering are required for visiting holy sites. Request an offer for a once in a life time experience now! Request an offer for a life changing experience now! hotel in Jerusalem for overnight. Jerusalem, dating back to the time of the Second Temple. Continue to Yad Vashem (the memorial to the six million Jews who were killed in the Holocaust). Afternoon drive to visit the picturesque village of Ein Karem (the traditional birth-place of John the Baptist). Return to Hotel. Quarter, the Western Wall, the Temple area and the colorful bazaars. Walk along the Via Dolorosa and the Stations of the Cross, ending at the Church of the Holy Sepulchre. Continue to Mt. 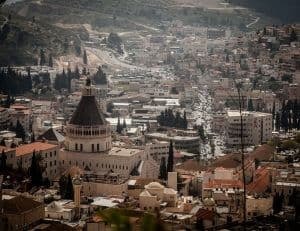 Zion and visit the tomb of King David, the Room of the Last Supper and Dormition Abbey. In the afternoon continue to Bethlehem to visit the Church of the Nativity and a view of the Shepherd's Fields. * Return to Jerusalem for overnight. Leave Jerusalem and drive north, passing by Jericho, the oldest city in the world. Travel through the Jordan Valley to Beit Shean. 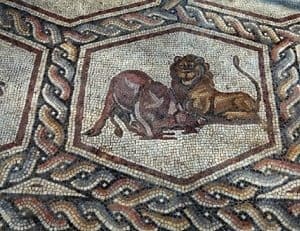 Visit the excavations of this beautifully preserved Roman City. 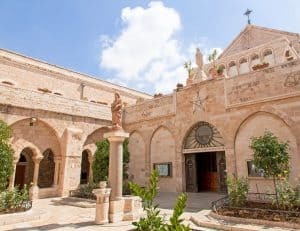 Proceed to Nazareth to visit the Church of the Annunciation and the carpentry workshop of Joseph. On to Safed, city of the Kabala, for a walk through the mystic alleys, a visit to a synagogue and the artists’ colony. Continue to a Kibbutz hotel for overnight. Drive to the Golan Heights, passing by the Druze villages. Visit a former Syrian fortification on the heights. Enjoy an Israeli wine country experience, with vineyards surrounded by breathtaking views. Become acquainted with the collection of fine and rare wines enjoying a tour, wine tasting and understanding of the wine production process. Pass by Banias, source of the Jordan River to visit the Mount of Beatitudes. Visit the ruins of the ancient synagogue and Peter's house at Capernaum. Visit Tabgha, where the miracle of the fish and bread took place. Continue to Tiberias for a short tour of the old center of Jewish learning. Optional sailing in a boat across the Sea of Galilee to experience the tranquility and scenery little changed during the past 2000 years (subject to conditions and fee). Return to the Kibbutz hotel for overnight. After Breakfast drive west to Acre for a visit of the old, famous Crusader stronghold and medieval fortifications. 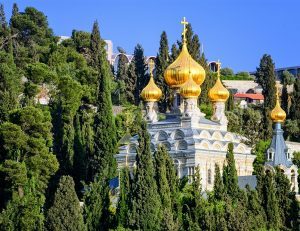 Continue to Haifa, for a panoramic sightseeing tour of the city, including the Baha'i Shrine, Persian Garden, Mount Carmel and Haifa bay. Proceed southwards to Caesarea to visit the ancient port, including the Roman Theater and the Hippodrome. 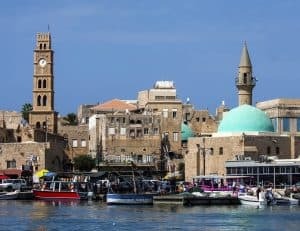 Continue to Tel Aviv-Jaffa for a short city tour and to your hotel for overnight. Day at leisure in Tel Aviv, or an optional tour to the Dead Sea. Overnight in Tel Aviv. 6 Dinners (starting from 2nd night). Sightseeing in a modern air-conditioned motor-coach. 1. The tour is on a guaranteed departure basis - subject to a minimum of 2 participants. * Price is not valid during the Tabernacle Holidays. For more information on reservation, payment, and cancellation, please read Terms & Conditions. WHY WEEKLY DEPARTURES WITH REGINA TOURS? 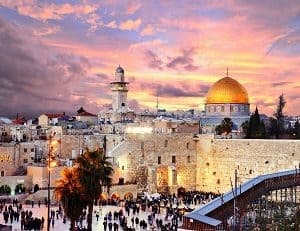 Israel is one of the most ancient countries in the world. The country is situated between three seas. the Mediterranean sea in it’s west, the Red Sea in it’s south and the Dead Sea in the east. Visit the beautiful north of Israel. Ancient history and cities - Caesarea, Haifa, Acre and Rosh Hanikra Nazareth, Tiberias, Capernaum, Yardenit. The ancient capital of the Biblical Jewish kingdom. It is holy for Jews, Christians and Muslims. Jerusalem lies in the Judean Hills.